Baltimore, the inspiration for the country’s national anthem, The Star-Spangled Banner, was dubbed The Monumental City by no less than US President John Quincy Adams. Its unique skyline of church spires and monuments are some of the samples of different architectural periods from over more than 200 years of the city’s existence. But, house sitting in Baltimore is more than just being surrounded by old and famous buildings. 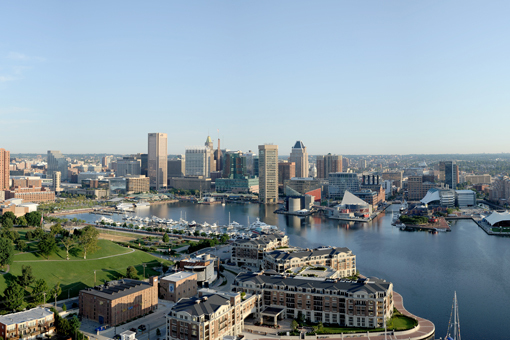 Also known as Charm City, Baltimore is the center of organizations and companies that are world-famous in the performing arts. It is also home to famous schools and universities, professional sports teams, museums and historical attractions. Starting with the brick and form-stone rowhouses that are a trademark of Baltimore, the city is peppered with structures designed by famous architects like Benjamin Latrobe, Mies Van Der Rohe and I.M. Pei. Famous among these are the Baltimore Basilica, the oldest Catholic cathedral in the USA and the Brown Memorial Presbyterian Church, which has been described as a “treasure of art and architecture”. The Peale Museum was the country’s first structure specifically designed as a museum. Having a good time in Baltimore can mean anything from enjoying delicious dishes in its many restaurants to exploring the city’s rich history in the city’s museums and cultural centers. Crack the mouth-watering Chesapeake Blue Crab at a Baltimore crab feast or see the blue crab together with sharks, dolphins, sting rays and more than 10,500 marine animals at the National Aquarium. If culture is your trip, visit the grave of Edgar Allan Poe, the Baltimore Museum of Art, the Walters Art Museum or the Great Blacks in Wax Museum. For lovers of the performing arts, there are the France Merrick Performing Arts Center, Everyman Theater in Mt. Vernon and many more. Thrill to the sounds of the Baltimore Symphony Orchestra at the Meyerhoff Symphony Hall or the exciting performances of the Baltimore Opera Company at the Lyric Opera House. Unique architecture, historical attractions, beautiful performances and delicious treats are everywhere in Baltimore. They can make your house sitting experience one you’ll never forget.